Summary: We don’t seek out God in order to tell Him what He must do. Instead, we are blessed to hear Him when He calls us through Word and Sacrament. We feel His Law’s condemnation and rejoice in the Gospel’s forgiveness of our sins. Just as Samuel was unable to seek the Lord or articulate a desire for such an intimate relationship, so also all who live on earth are unable to seek the Lord or come to Him. This day’s worship began with the baptism of a baby girl, a perfect illustration of God calling someone by name and the hearer receiving His gifts in faith. 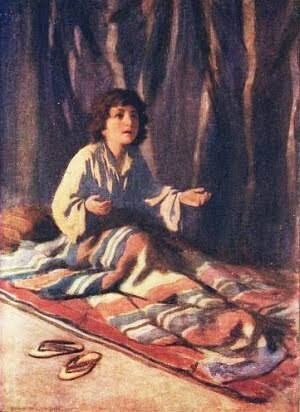 Text: Now the boy Samuel was ministering to the Lord in the presence of Eli. And the word of the Lord was rare in those days; there was no frequent vision. But he said, “I did not call; lie down again.” So he went and lay down. 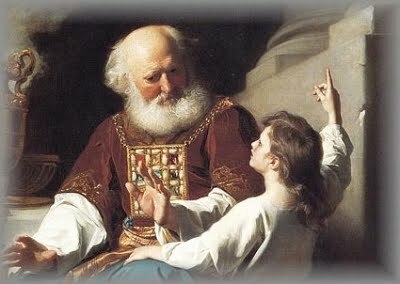 But he said, “I did not call, my son; lie down again.” Now Samuel did not yet know the Lord, and the word of the Lord had not yet been revealed to him. Then Eli perceived that the Lord was calling the boy. Therefore Eli said to Samuel, “Go, lie down, and if he calls you, you shall say, ‘Speak, Lord, for your servant hears.’” So Samuel went and lay down in his place. Audio: Click to hear the MP3 of Your Servant Hears, preached at late service to the saints of God at Our Redeemer Lutheran Church, Marshall, Missouri.